Swaying palm trees, sunny skies, and breathtaking ocean views set the scene for an unforgettable round of golf. Master your swing at one of the best Oahu golf courses and admire the meticulously manicured landscaping that so beautifully captures the island’s vibe. Maybe you consider yourself to be on par with the pros. Perhaps you’re more of a greenhorn on the greens. Either way, golfers of all skill levels travel from all over to cross “golfing in Hawaii” off of their bucket list! 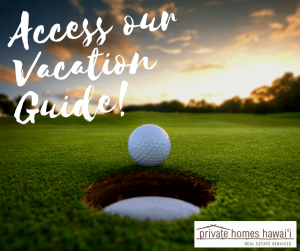 Continue reading to learn about some of our favorite courses and access our free Vacation Guide for more thoughtful suggestions to add to your itinerary! Including the Ko’olau Golf Course in our list of the island’s best golf courses is a no-brainer. Noted as one of Golf Magazine’s “Top 100 Places You Can Play,” this 18-hole course sits at the base of Ko’olau Mountain. The views from this course inspire a sense of awe and amazement that often accompany the experience of witnessing such a beautiful sight. The Turtle Bay Palmer Course sits nestled on Oahu’s North Shore. The course shares its name with the designer and infamous golfer, Arnold Palmer. Cerulean waves lap the shoreline, and 100 acres of wetlands and bird sanctuary encompasses the perimeter of the expertly maintained lawns. 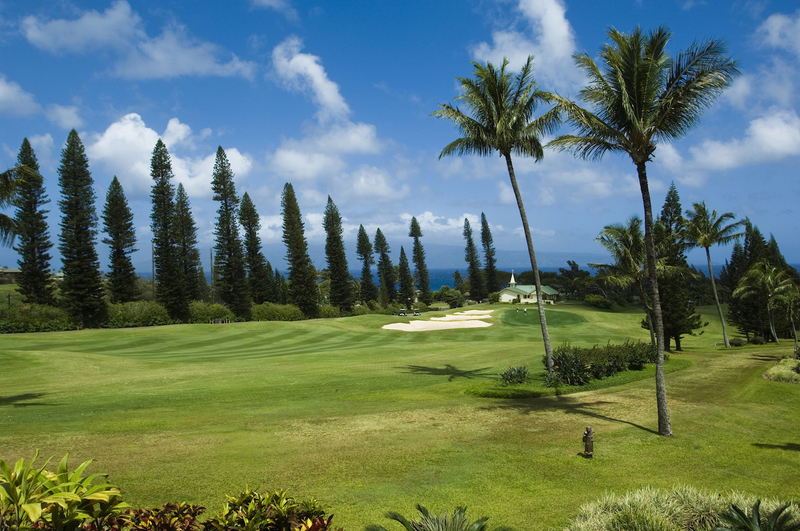 The Ala Wai Golf Course serves as an excellent option for those not wanting to travel far out of Honolulu. Tucked away from the city landscapes, golfers at this course can take in views of Diamond Head. After a rousing round on the greens, treat yourself to a cold, craft beer at one of the local breweries or lounge at one of Oahu’s best beaches! 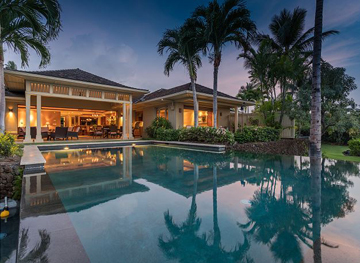 Renowned architect, Ted Robinson, constructed Ko Olina Golf Course in 1990. To this day, pro players and humble golf enthusiasts enjoy the lush landscapes and challenging 18 holes at this favorite Oahu golf course. Grab your lucky clubs and ready yourself for an unparalleled experience! Be sure to book your tee times in advance to ensure the best prices and your spot on the course! Hawaii Prince Golf Club is another one of the island’s beautiful courses that makes itself available to the public. Ninety sand bunkers, ten lakes, and three interchangeable 9-hole courses adorn the emerald green fairways. Bright blue horizons dusted with wispy white clouds complement set the scene for an ideal day practicing your swing. Players of all skill levels can challenge themselves at the Kapolei Golf Course. The course sits on 190 acres of what used to be a sugar cane plantation. Spectacular gardens and rollings greens lure pros and newbies alike. The strategic nature of the course makes it the perfect destination for PGA tournaments! 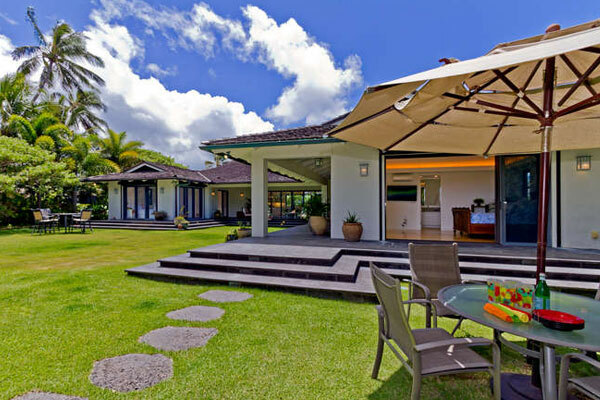 While researching the best golf courses on Oahu, consider staying at a Private Homes Hawaii vacation rentals. Our beautiful homes make dream vacations come true and serve as the perfect home-away-from-home during your stay on the island. 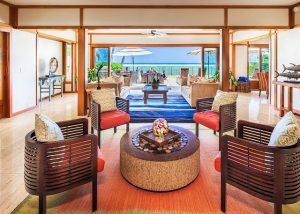 Stay near all the best things to do on Oahu when you choose to rest your head in our Palm Tree Estate in Honolulu. Surrounded by lush, tropical landscapes, it’s easy to let all your troubles melt away.